For a number of years Friday or Saturday night is 'game night or Madden night' at our place. 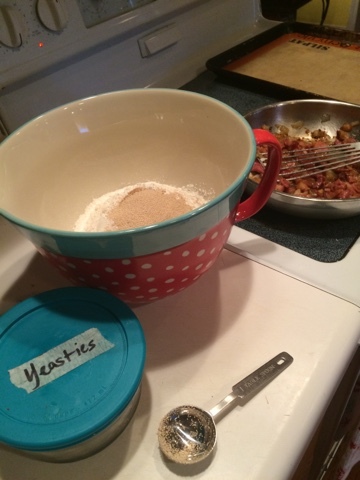 Oftentimes I try to fix our supper with the mindset of "I need to make extra" just in case our friends were hungry or they wanted a snack while playing games. 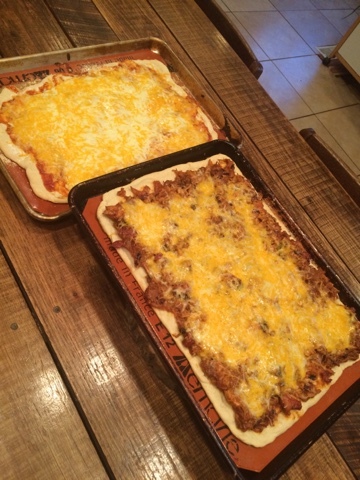 This past Friday, the girls and I made some pizzas. 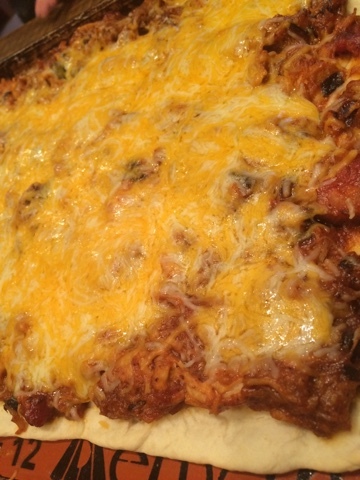 I kick myself so much when I just gather the things to make pizza because it is SO good and so easy... but yet, I still succumb to the $5 pizza deal from time to time. Ack. 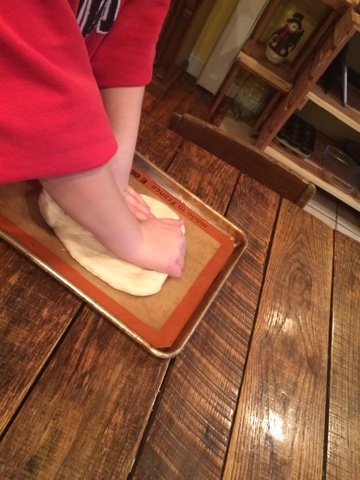 Everyone in our house loves to knead dough... yet another reason I need to keep my head on straight and keep on schedule and budget and we won't even have to worry about that $5 temptation. 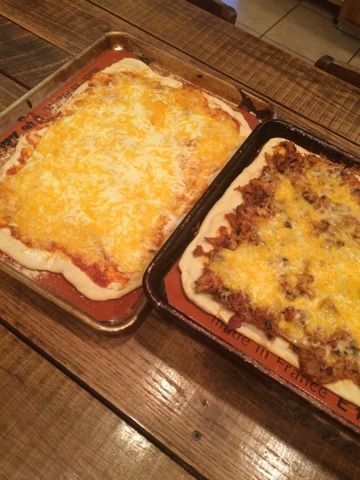 We ended up making one cheese and one BBQ. The bbq was SOOOO good. I sautéed some onions with a few bacon pieces and then made my bbq sauce with the fat and added the bacon and onions back in when my sauce had cooked for a while. 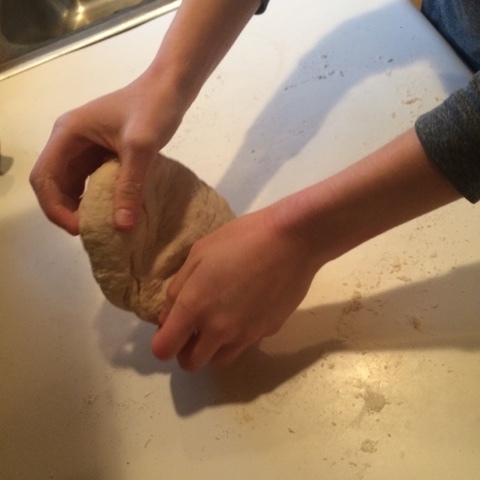 For the dough, it was a simple dough that we use pretty much every time we make pizza. 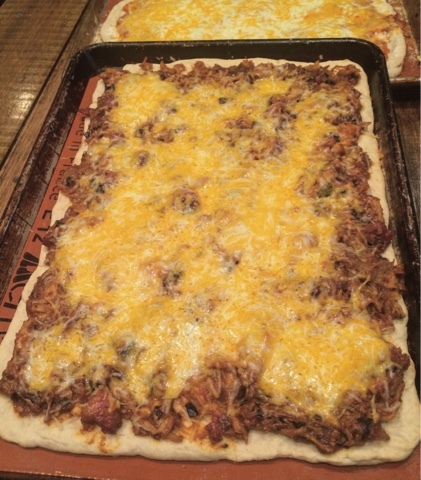 Add your toppings and bake til cheese is melty and delicious! 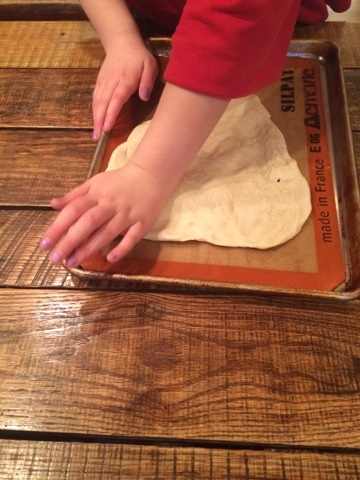 So the next time you are planning out your menu... consider homemade pizza. You may never darken the drive thru again.